This is my secondary school’s lined exercise book for homework assignments. Many years ago, my friends gave it to me as a souvenir. 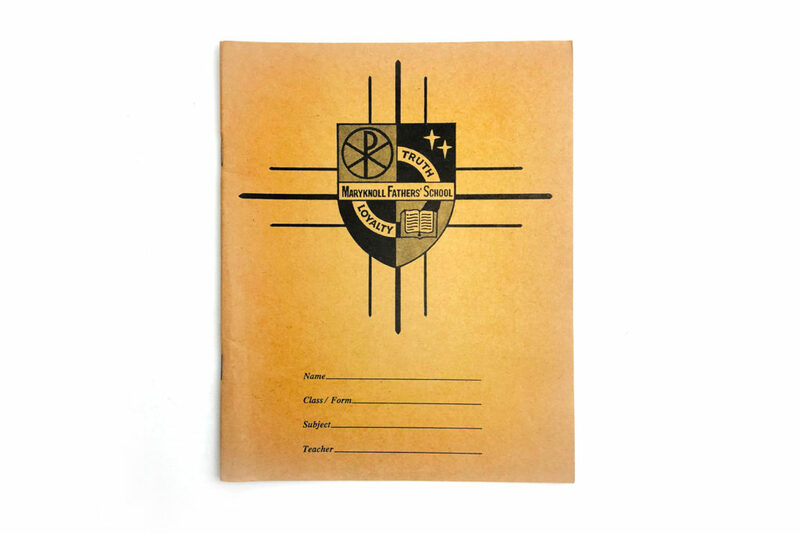 The cover is printed with the school badge and columns for students to fill in. The price of each copy in that year was about HKD$2.50. They were available for sale at the school office during pre-class, break and lunch hours.